The actress is on a mission to end stigma against mental illness. 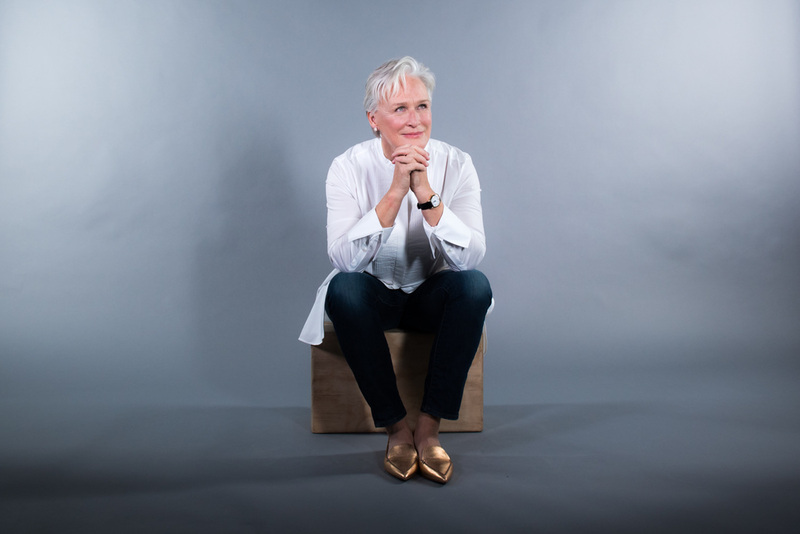 “I never realized that maybe I could get a little help,” says actress Glenn Close. We’re talking about her own experience with depression, an illness she was diagnosed with only eight years ago. It was truly a surprise. For years, the Hollywood legend thought she probably had Attention Deficit Disorder, which can cause hyperactivity, impulsiveness or problems with concentration. Today, Close, 68, says she takes a low dosage of medication to help with depression, which is considered a very treatable condition. But Close has taken a bigger approach in ending the stigma around mental illness, beyond her own experience. She founded Bring Change 2 Mind in 2010. It's a coalition of organizations that provide service, screening, support, treatment and information about mental illnesses. Bring Change 2 Mind fights to end the stigmas surrounding mental health, and the hurtful and harmful stereotypes that sometimes follow those with mental illnesses. In a world where mental illnesses ranges from depression to eating disorders, anxiety, bipolar disorder and schizophrenia, among others, it can be difficult to talk openly about these personal experiences. But they are so common. Close's own sister, Jessie, and nephew, Calen, experience bipolar disorder and schizophrenia, respectively. They inspire her greatly. 1 in 4 people in the U.S. experiences a mental illness. In the U.S. alone, approximately 61.5 million individuals, or one in four adults, experiences a mental illness in a given year, according to the National Alliance on Mental Illness. Of that, one in 17, about 13.6 million, live with a “serious mental illness,” deemed by NAMI as schizophrenia, major depression or bipolar disorder. Brave, beautiful and bold, each participant in the #MindfulAllies series is speaking out to help eliminate the stigmas associated with mental illnesses, and encourage others to seek help. Join the conversation using #MindfulAllies to share your own experience with mental illness or how you help as an ally. To learn more about mental health, go to BringChange2Mind, the National Alliance on Mental Illness or the National Institute of Mental Health. I come from a family that had no vocabulary for mental illness. Toxic stigma and the social mores of the time made any conversation about possible mental health issues taboo. That lack of conversation was very costly. Over multiple generations, various members of my family and extended family have been impacted by: serious depression, schizophrenia, schizoaffective disorder and bipolar disorder. If talking openly about something as scary and misunderstood as mental illness is not accepted, tragedies can happen. I have learned that I have been living with mild depression for probably most of my life. When I couldn’t concentrate, overwhelmed by the simplest tasks — wheels spinning — I thought I had some form of Attention Deficit Disorder (ADD). Upon being tested, I was told that I was depressed. I have learned that I have been living with mild depression for probably most of my life. My journey as an advocate for mental health started on the day my sister, Jessie, came to me and said, “I need help. I can’t stop thinking about killing myself.” Jessie’s son, Calen, had been diagnosed with schizoaffective disorder a number of years before. Because mental illness was never discussed in our family, Calen’s diagnosis had been a shock to us all. Then, Jessie had been misdiagnosed with depression and was actually put on the wrong meds. Her suicidal ideation — envisioning ways to kill herself — came to dominate her thoughts. She feared for her life and came to me for help. When she was a little girl, Jessie would rub the skin between her thumb and forefinger until it was crusted and bleeding. Today, if any of us in our family should witness such a behavior, red flags would go up and help would be sought. But back then we all thought it was because Little Jess was high-strung and nervous. How sad was it, then, that the early interventions available in the present day, did not exist? How different Jessie’s life would have been? No one should feel alone or ashamed. We are all in this together. We are so blessed that she is still with us. Tragically, she wasn’t properly diagnosed with bipolar disorder until she was 50. Today, she is a mental health advocate and gifted public speaker and her book, Resilience, came out in paperback just this month. Both Jessie and Calen have astounding courage. When they asked me to help fight the stigma around mental illnesses, I cofounded Bring Change 2 Mind but only after I asked them both if they would be willing to talk about living with their diagnoses publicly, in a national campaign. Without hesitation, they both said, “Yes.” We didn’t know what we were getting into. We have learned so much over the years. One prominent lesson is that personal stories are incredibly powerful. It’s like opening a floodgate. No one should feel alone or ashamed. We are all in this together. I hope more families will have the courage to talk openly about the mental health challenges they face. In our communities, starting within each family, we need to be vigilant and to err on the side of sensitive and compassionate intervention if we notice someone isolating themselves, being marginalized and made to feel ashamed. As a society, it is imperative that we educate ourselves about mental health issues, that we realize that those suffering from bipolar disorder or serious depression or cancer or diabetes — any chronic illness — are worthy of our compassion, empathy and respect.